Well deserved points and a great result! I treated it as a learning exercise and given the number of people dropping out ended up with 1-2-1 tuition following an instructor in a turbo s. I looked at the Hanseat option but the dates didn't work, perhaps next year. I think their approach has to be the best way to get to grips with the track. Hope to see you on track somewhere in 2018! Scuderia Hanseat is a very good way to learn the Ring and as it is spread out over 3 days you normally have some dry time! Great to see another 9m93RS out on the 'Ring being used as Porsche intended. Well done guys, promise to join you soon in my Clubsport. Congrats! inspired by your efforts I took my 9m rig to the ring for the first time this year. 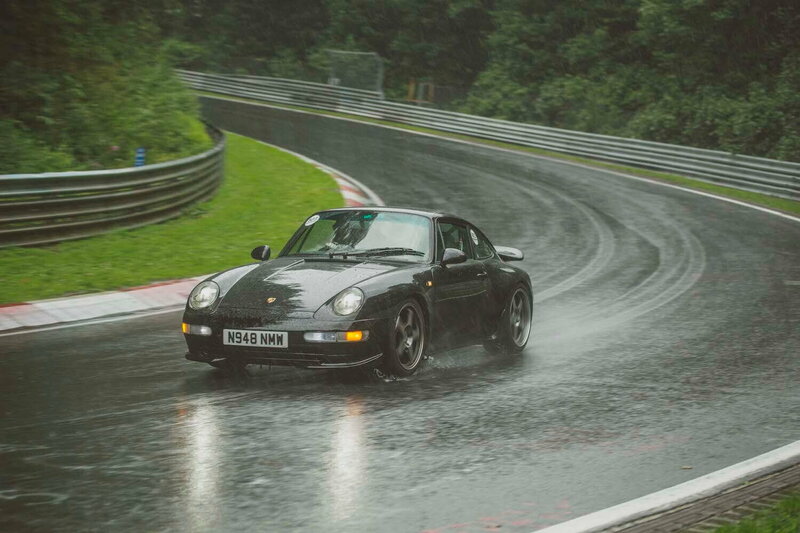 I thought I would start gently so signed up to the Porsche Driving School classics event. Unfortunately, despite it being August, we didn't get good weather - extreme rain. I was running used Cup 2's so aquaplaning was a problem. In the end I can only describe the day as 'educational' (although terrifying would also be accurate). Having said that I walked away understand why people love the place and would love to go back in the dry. Engine just greasy... or leaking oil?